BA Television Production graduate Phil Poole picked up the Best Music Video award at the NME Awards on 15 February at the O2 Academy in Brixton. 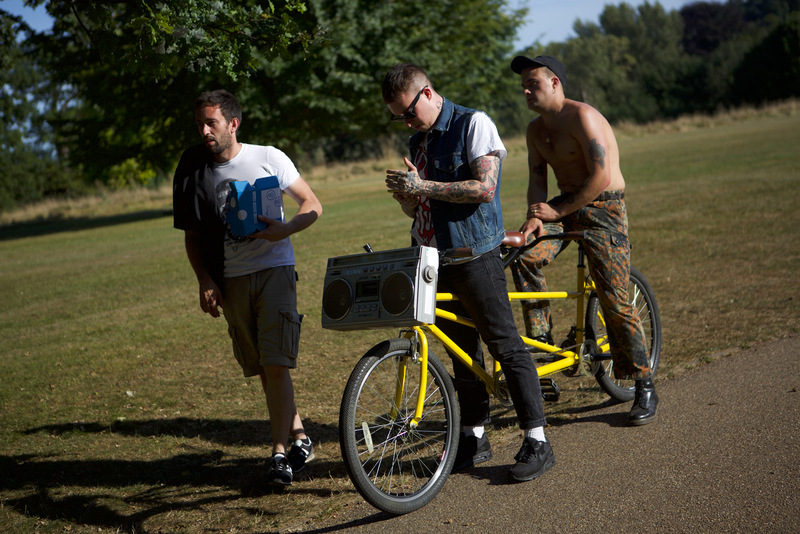 Specialising in directing, shooting and editing a wide range of videos in many different genres, Phil won the award for his production of Consume Or Be Consumed by English punk duo Slaves (pictured above). “It was nice to get some recognition as we worked very hard last year on three videos back-to-back for the band,” says Phil. “I’ve spent years taking on all sorts of music-related work for record labels, artist management, and the music press. While Phil may no longer study at Middlesex University, his ties to the University have remained strong since graduating. His first role out of university came through Middlesex University lecturer Roddy Gibson, who put him in touch with fellow Middlesex lecturer Eddie McCaffrey and Head of Joose TV – a TV, film and video production company. Phil worked at Joose as Director and Editor with fellow Middlesex graduates Dale Wightman and Ana Gomes. “My studies at Middlesex University massively helped me in many different ways,” he explains. “The great technical facilities allowed me to experiment and develop using industry-relevant equipment. The lecturers were not only a great source of information, but also networking potential. Phil’s role at Joose TV confirmed his desire to work in the industry, inspiring him to produce a number of low budget music videos with yet another Middlesex graduate, Amber Millington. For Phil, the NME award feels like the beginning of a long journey in the industry and an opportunity to push on with more exciting projects.